Please enter your email address and we’ll send a download link to you immediately. Thank you! An email with the download link is on its way - and also you can click here to download the overview right away. 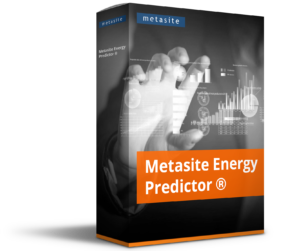 Metasite Energy Predictor is a specialized software solution for Energy retail companies who sell energy retail in liberalized market and need to predict customer energy usage on an hourly basis. The Energy Predictor solution ingests historical and current energy consumption data, runs predictive models that forecast your customer base energy consumption on aggregate and detailed level in megawatts on an hourly basis, and provide this output for your energy trading department. The solution assists energy companies by offloading the tedious task of energy consumption forecasting and ensures 24/7 support and maintenance.